Matthew Carbonaro is a junior at John Adams High School involved in many activities inside of school. Be it in marching band, Science Olympiad, or being the co-host for The Radio Tower Podcast, he is committed to any task that comes his way. 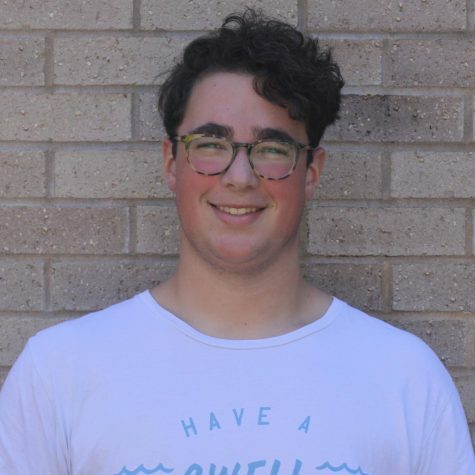 He is section leader of the saxes this 2018-2019 school year and is excited to lead his section and the band in the hope of making it to state. Matthew became interested in The Tower through his connection to Seth Kirkpatrick, his co-host on The Radio Tower Podcast. Matthew was originally drafted onto the show as a guest and the episode was so well received he was asked to be a full time host. Matthew is also very devoted to his school work. Although he is not on the full IB diploma track, he is taking many IB classes. His favorite classes are math and science courses. He is hoping to go to either Notre Dame or MIT and major in engineering, hopefully something in chemical or computer engineering. He has always had a fascination with how things work and engineering has always interested him. Although grades are important, he prides himself in the fact that he doesn’t stress too much about getting a 4.00. Matthew’s favorite type of food is Italian, having to do with his Italian heritage. Matthew also really likes to read books and listen to music. His favorite genre of book is fantasy, which is where he gets his motivation. His favorite genre of music is rap or indie, and he prides himself in the fact that his music affects his ideals and inspires him to keep working.